It's all over for another season, and as always it seems to have flown by. It was the year of the Specimen Challenge, and seven new UK PBs were added - plus shark, stingray and red drum! It was a bit light on pike and I didn't even fish for zander, but there was some cracking fishing. I fished 14 rivers, exploring some beautiful locations and caught some stunning fish. Quick look back below. June: It was a funny start to the season; the weather was all over the place and the fish hadn't spawned. I started my challenge with a PB bream from a chalk stream, then resulted to a few local barbel fishing sessions - although barbel were not the really target this season. The highlight was a new local river PB roach, 1lb 4½oz. July: I struggled to find feeding fish but a trip to The Wye turned things around. Catching chub, barbel and perch. It was great fishing with my Dad, brother and an old mate from school. It was great to see Roger and Steve land a barbel, and even better to see Paulos bag his first ever barbel and add a PB chub! August: The plan was to crack on with the Specimen Challenge and my targets were crucians and rudd - but work had other ideas, I struggled to find time on the bank and when I did conditions were against me. I managed the target species but not the target weights - next year? (I'm going to extend the challenge). September: More time on the bank and more fish in the net. I stalked out a double figure river bream, at 10lb 9oz my target was cracked. An old warrior of a barbel, at 9lb 14oz I really didn't care about those two extra ounces. A new PB chub at 5lb 14oz. And rounded off the month with some trotting for dace, great fun. October - UK: Started with a trip to The Royalty in search of pike - landing three but not the double I was after - next time? A couple of trips to the local resulted in some chub and barbel and a monster 18 gram minnow (I was genuinely targeting minnows) - at 75% of the British record it earned a place on my PB list! October - USA: I thought hurricane Matthew had destroyed our shark fishing adventure - dirt, debris and a big drop in water temperature. I needn't of worried with Paulos on the case; me and Roger managed 24 sharks, three 6 foot plus including a 7 foot new PB. As well as a PB stingray and 18 red drum to a new PB of 44'. Brilliant! November: Back to reality, briefly, before hitting a new PB grayling of 2lb 11oz on my first cast in The Frome - it's better to be lucky than good! I then turned my attention to a roach shoal I'd spotted in the summer, landing 8 pound plus fish (including a recapture) and upped my PB twice to 1lb 15oz - so close to my target. December: One reason or another kept me off the river most of the month, just one trip out chasing Stour jacks. 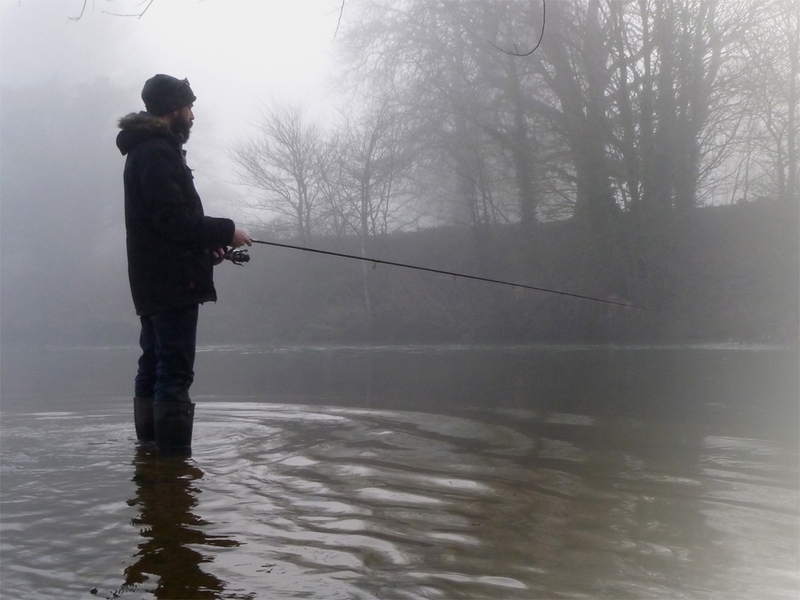 Over Christmas I hit The Wye but it was tough going - two pike, 10lb and 14lb. Steve landed one of 15lb and I found myself unhooking a twenty for a couple of kids. And I can't wait for a bit of mild weather fly fishing! January: An apathetic start to the year was replaced by some quick chub and barbel missions to the local river, not specimen hunting, just getting something to pull the line. 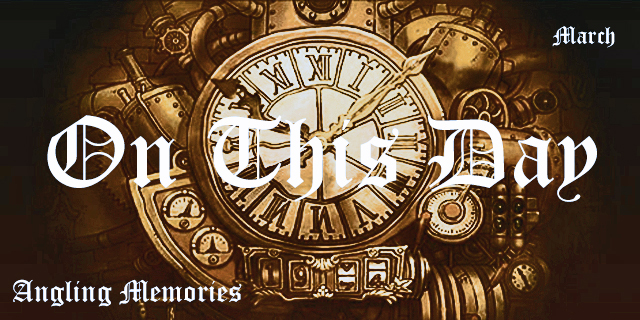 I also cleaned up my uncles' old reel - something I've been meaning to do for a while. And filled my boots with River Itchen grayling - apathy banished. February: Started with my best bag of dace for years, nine fish over 8oz and a new PB of 11¼oz. A trip to a little chalk stream produced a beautiful ancient roach among the grayling. And in a few smash and grab missions I landed chub to just shy of five pounds and barbel to double figures - my first double of the season. March: The final push and I took my total local barbel to 70 fish, including a double (recapture). I landed a stunning pug nose pike on a lure from a tiny chalk stream, and landed a new PB rudd on the last day. 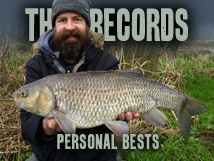 But my fish of the month, and in fact the season, was my monster 6lb 12oz chub - what a fish! What a season!! Happy days indeed. It's a delicate ecosystem but without it we'll all be stuffed not just the fish. never mind all that.the biggest feat was walking on water! It is an advantage, saves using waders or bridges! I know but I'll be back down there with vengeance, kudos Sir Roberts on a great season. Cheers James, was but the very start of our monster chub campaign..!